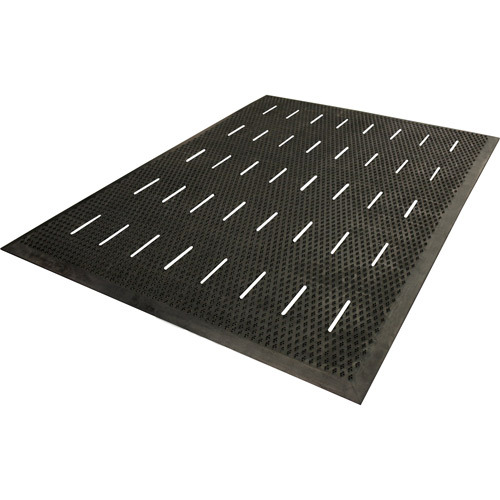 Ideal for areas where drainage is necessary and prolonged standing requires relief. Oval slots in rib valleys allow for quick fluid drainage. A gradual bevel prevents slips and falls. Free Flow Comfort's 13mm thickness can aid in increasing productivity by providing a welcome relief for aching feet, legs and back. 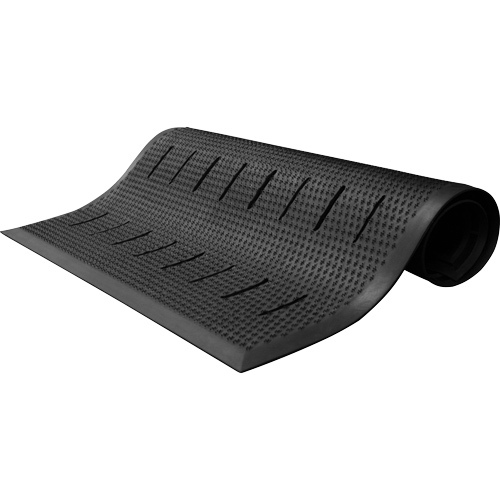 Manufactured from 100% rubber for long lasting maximum durability. 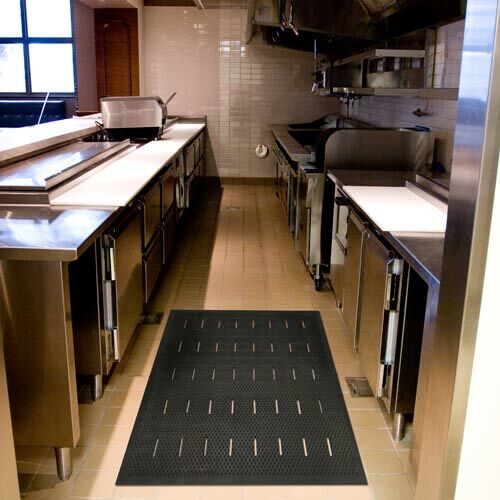 Simple and easy to clean - no chemicals required - simply with a damp cloth, weep, vacuum or hose off.